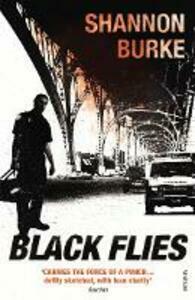 After failing to get into medical school, Ollie Cross takes a job as a paramedic in Harlem. Ashamed of his middle-class roots and eager to fit in, he adopts a tough-guy persona which carries him through the dark days on the streets- the shoot-outs, the bad cops, the unhinged medics and hopeless patients. But the daily horrors begin to take their toll and, as his personal life starts to unravel, even Ollie can't tell who he is anymore. Black Flies is a gripping and unforgettable novel about indelible experiences, friendship in extreme conditions, deterioration and redemption.